Can Carpets Damaged by Sewer Backups Be Restored? Sewer backups contaminate rugs and carpets as thoroughly as bath mats. The dense structure of carpets and rugs provide a breeding ground for bacteria and other bio-contaminants and micro-organisms. This makes sewage and carpeting a troubling combination. Not all backups are identical, of course. Sewer backups can range from clear water to raw sewage. Also, carpets vary in their construction and method of installation. Professional restoration specialists will conduct an on-site assessment of both and advise you whether they should be discarded or can be restored. 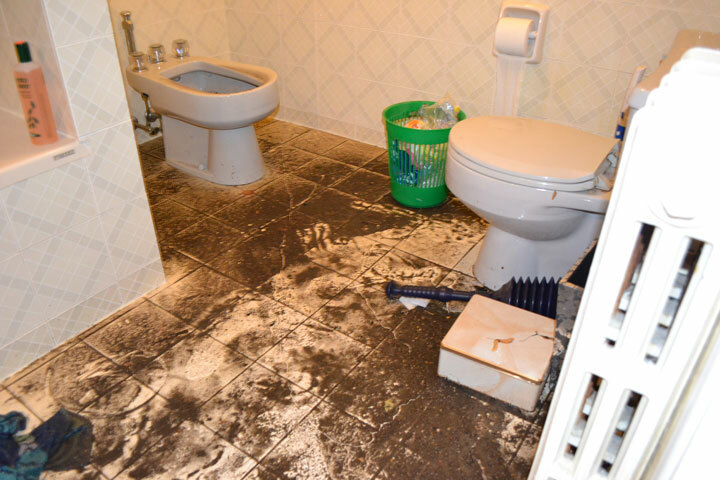 Can Sewage-Contaminated Carpets and Rugs be Restored to their Original Condition? Whether your carpets and rugs can be restored depends on the type of sewage, how long the carpets have been exposed to the sewage and of course, the type of carpets you have. For oriental rugs, area rugs and wall-to-wall carpets installed on tack strips, restoration is normally successful. These carpets are treated in a rug cleaning plant, where the carpets are fully saturated by germicidal solutions and cleaned with the method best suited to the type of fibers in the carpets. Professional restoration specialists can help you to remove all moisture from the carpets and their underlays with special dehumidifiers and carpet underlay squeezing machines. Some professional restoration technicians like DRS also use an anti-microbial product to treat your carpets with an extra layer of protection from micro-organisms that may linger even after a thorough cleaning. What if the water is clean? Even water that looks clean and clear can carry harmful bacteria, especially if it comes from a sewage backup. If it came out of a sewer it should be presumed to be contaminated. Saturation cleaning and germicidal treatment of carpeting are difficult to perform at the damage site. Both sides of the carpet must be cleaned and treated along with the underlay, floor and baseboards, all without cross-contamination. How can I be sure the treatment is effective? The principal indicator of contaminated sewage is the presence of bacteria from the family E. coli. Germicides used after sewer backups should be designated to be effective against E. coli. Swab samples can be collected at the site and incubated in a growth medium to indicate that hygienic conditions have been restored. Economics also plays a part. The age, condition, and replacement cost of the carpet will influence the cost-effectiveness of restoration. With so many factors to consider, the best assurance of satisfaction is to retain an experienced recovery and restoration professional. If you’re experiencing flood and water damage, call DRS now.